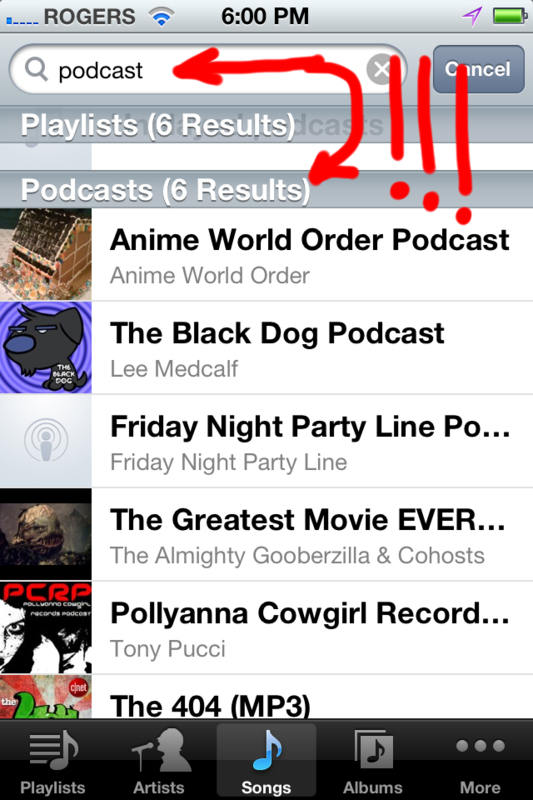 iTunes Match is a pretty nifty service that I won’t go into detail about. If you don’t know about it, go read up. When you turn on iTunes Match on your iOS device (iPhone 4 in my case), it ‘takes over’ the music portion of your phone, removes all the sync’d from iTunes music, and makes all your music addable via download from the iTunes cloud server. No problems. Interestingly with iTunes match disabled the option appears again. 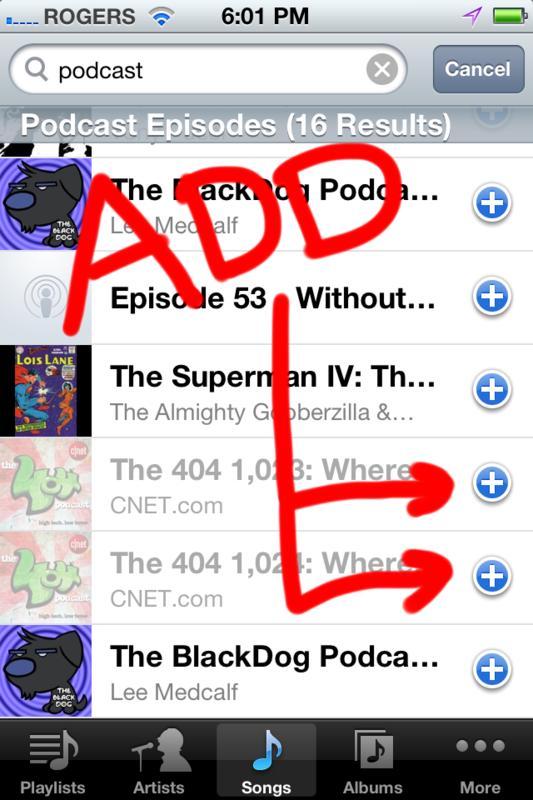 Probably just some silly thing in how iTunes Match is implemented in iOS. Maybe it will get fixed in a revision of iOS, maybe not. 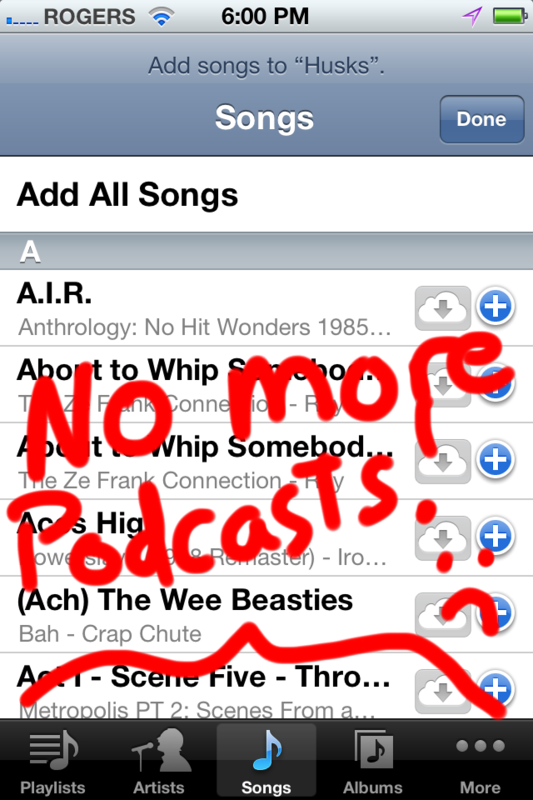 Either way, here’s how to add podcasts anyway. 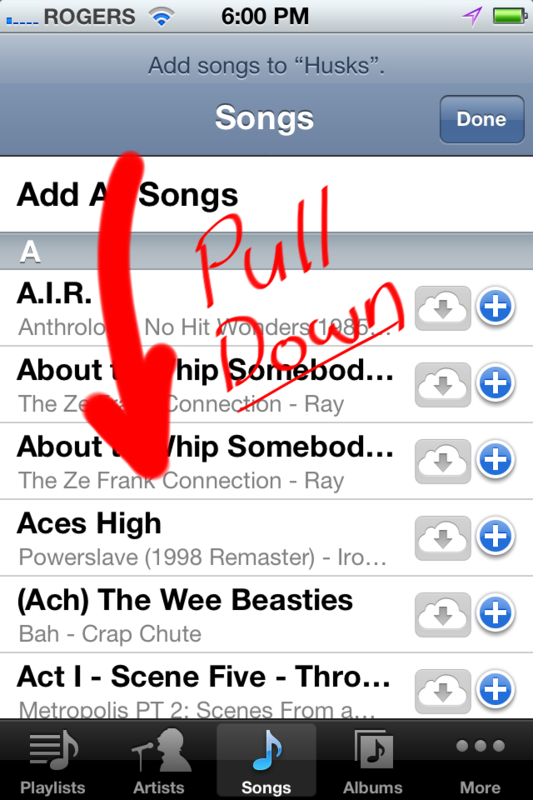 It’s actually pretty simple: When adding tracks to a playlist, drag down to reveal the search box. 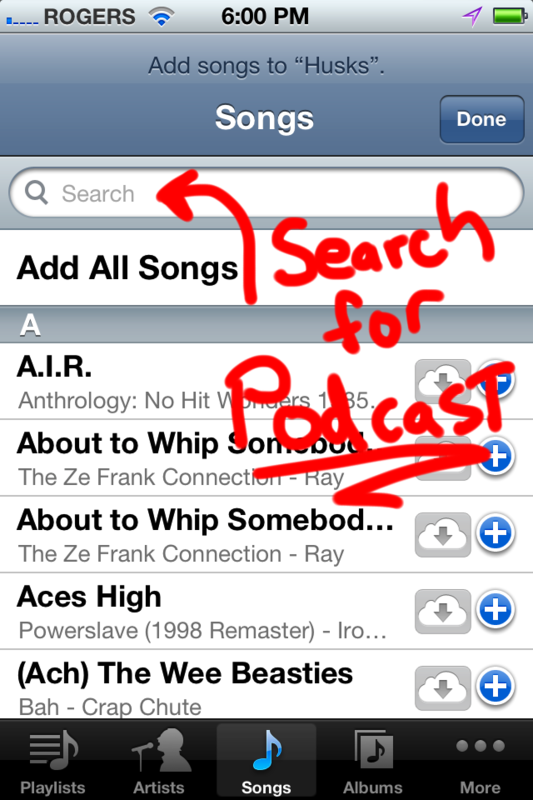 In the search box you could type the name of your podcast (if you remembered it), but instead just enter ‘podcast’. 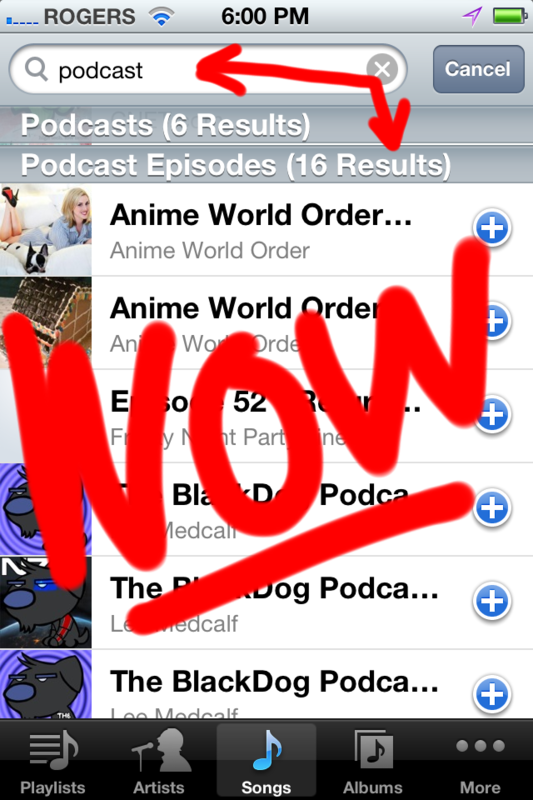 and scroll down some more for individual podcast episodes. and presto, it’s like you never spent $24.99 on iTunes Match and had it ruin your ability to listen to podcasts in a playlist.